For more than 30 years now, I’ve made myself a go-to resource for those engaged in estate and probate legal matters. Clients come to me when they’re facing overwhelming opposition — usually led by their own loved ones. After so many years practicing this area of law, I know how challenging and stressful these types of cases can be, especially when it is a client’s own family that’s working against them. That’s why, particularly in complex, emotionally charged conflicts over elder fiscal oversight and probate matters, I like to flex my in-depth knowledge and courtroom trial skills. In many cases, we can push back and resolve a dispute without ever taking the case to trial. This solution — mediation — is generally preferable for all parties involved. Often, though, mediation isn’t enough, and the situation must be escalated further before it can be resolved. When this happens and litigation is necessary, I’m prepared to represent my clients in trial. And if, after the situation has concluded, a conflict still remains, additional steps may need to be taken. When such steps involve filing an appeal or defending against an appeal, my clients can again turn to me rather than starting over with a new attorney. Clients and legal opponents alike quickly learn that I have a firm grasp on both the human and financial aspects of estate litigation. I focus on these aspects because I know that, for one thing, family dynamics play a huge role in the way a probate case unfolds. And for another thing, nothing is worse for a client than sinking their money into a case they can’t win. To save clients from future headaches, I lay everything out in the open from the moment I meet them. I tell them, based on my decades of experience, what their case is likely to cost them in terms of both finances and family relationships. I share these truths with compassion for their situation and with the hope that they’ll choose their next steps wisely. No matter the dispute you’re facing, you have the right to understand what’s going on. That’s why I take the time to teach you about your rights and your situation. When I see someone being taken advantage of, I can’t help but step in. I’ve fought for the rights of the elderly, the disabled, caregivers, children, non-profits, and more. When you’re in the midst of a heated dispute, making peace is the last thing on your mind. Still, I do what I can to pave the way for future conflict resolution — just in case. 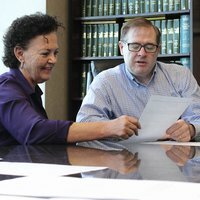 Hiring an attorney for a probate-related concern is a big investment — one that you shouldn’t take lightly. As you search for a lawyer to help you through the process, you’re going to be tempted to hire someone who tells you everything you want to hear. You want to be told that you have a case, that this won’t cost you too much money, and that you’re going to win. But no one can guarantee those statements. Anyone who does is doing you a disservice by sugarcoating the reality of your situation. Until I’ve heard the details of your circumstances, I can’t tell you what to expect out of the legal process. What I can tell you, though, is that you deserve an honest appraisal of the situation in its entirety before you sign a thing. When you contact me for guidance, that’s exactly what you will get. 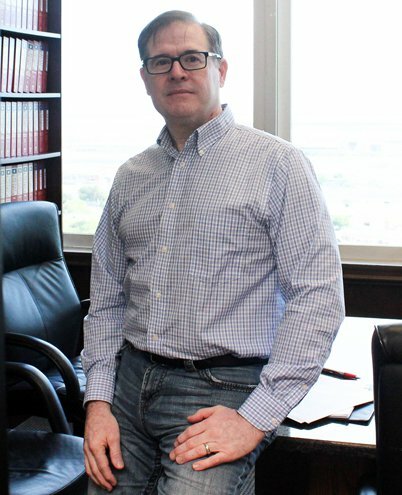 If you’re facing a probate-related legal concern in South Texas, please don’t hesitate to give me a call. I handle matters involving probate, estates, wills, trusts, elder financial abuse, and more. I approach these matters with a level head and honest communication, whether the case advances through means of mediation, litigation, or appeal. If you’d like to work with an attorney who knows the ins and outs of probate law and who cares about your well-being, get in touch today.